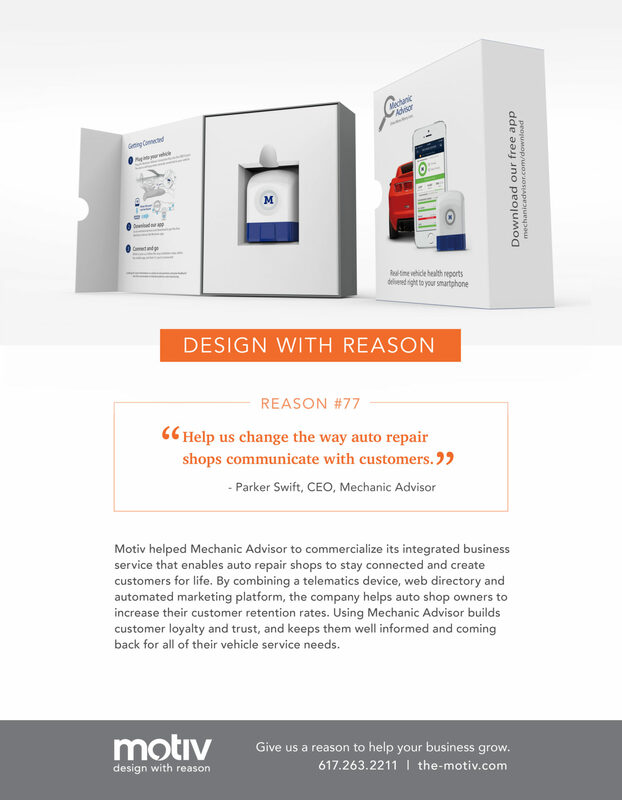 Mechanic Advisor is a marketing platform and telematics device that helps auto repair shops acquire new customers and drive existing customers back to the shop to perform regular maintenance and necessary services. They stay connected and create customers for life. Motiv is proud to have played a role in helping to commercialize this totally integrated service.